How to launch a new, better brand with the help of key stakeholders. · ABS. A Better Way. For a rebrand to be successful it needs to involve key stakeholders from the outset. We have first-hand experience of this, having just launched the new, BETTER ABS. Here’s how we did it. Starting the journey – Be Brave! Whether it’s a colour scheme change, a new logo or a review of your business culture, a rebrand journey should involve key stakeholders. The people and organisations that surround your business all play pivotal roles, even if you don’t know it. They are there because they believe in your brand so the world will too, but only if it’s done right! Our own brand journey began with support from key stakeholder, 10 Associates. 10 have been a valued ABS customer for over five years. They know how our business works, they know all about our industry and products and they already have first-hand experience of working with the ABS family. Will your business collateral need changing? This could be in the form of stationery through to your website. Not having the resources in-house to make these changes can be problematic, but not if you look at the partnerships you already have and work with those organisations who are familiar with the way you work. Here’s how we did it and who helped us along the way! If you only do one launch then it is crucial that this is done internally before you introduce it to the world. Your employees are your brand’s most important ambassadors. They are the key storytellers on the front line, so it’s imperative they embrace this new exciting chapter. Only by fully understanding the meaning behind the new brand can they tell an authentic and compelling story. 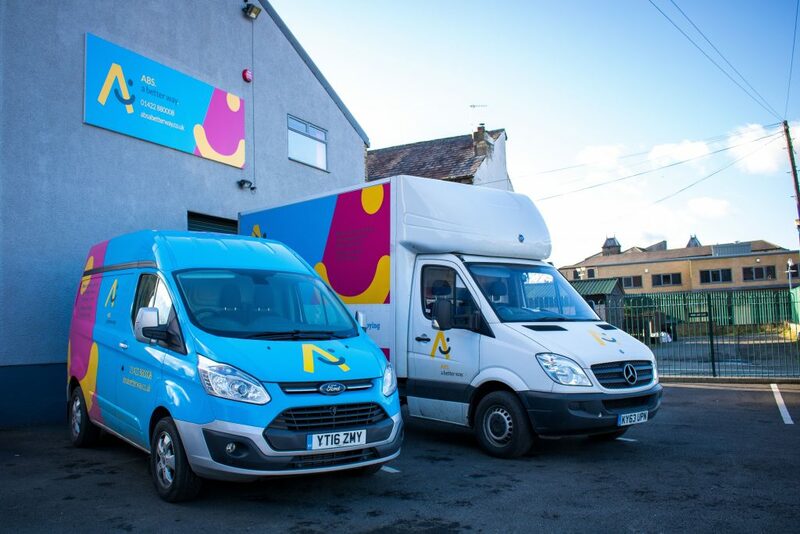 On the 8th January ABS staff walked into the new colourful world of ABS, the team were also presented with their new look and the resources they needed to go out and help organisations of all sizes find a better way to print, copy and provide IT support. This is also a time to reflect and celebrate, so make sure family and friends know what’s going on! Remember, a brand ambassador can come in many forms. Eureka! Children’s Museum was the perfect location for the launch of the new, BETTER ABS to the world. What better way to celebrate than with one of our longest serving customers (15 years and counting). Doing good is great but making CSR part of your rebrand approach and making sure it fully integrates with your core mission will help you get noticed and stand out from the crowd. We know good CSR when we see it having supported a number of charities and projects since the incorporation of the ABS Foundation in 2014 (read all about our exciting Foundation projects by clicking here). Naturally we announced a new CSR project at the rebrand launch. We aim to raise £5,000 by walking 25 miles of the Pennine Way for local charity Holme Valley Mountain Rescue (you can read more about this project by clicking here). The food and drink for our event was also locally sourced with drinks coming from local brewery, Magic Rock and food produced by ‘The Real Junk Food Project’. This helped us reduce the amount of waste produced. Your most important stakeholders are your key brand ambassadors. The people you work with are the key to the success of a rebrand, so involving them in the process is crucial. At the start of our brand journey the whole ABS team attended sessions over a two day period at 10 Associates, stripping the company back to basics and unravelling mysterious treasures through a creative outlet. The two days were also an opportunity to reflect on the past and decide on the future. The better ABS you see today stems from the collaborative work done over those two days and the support of friends, family, local businesses and charities. Rest assured, we are not a branding agency or experts in this field but we are experts at printers, photocopiers and IT support so if you want help finding a better way to print, copy or maintain your IT infrastructure then contact us, if you want help with a rebrand, your experts aren’t hard to find!